The new Smart rollable TV is named as LG Signature OLED TV R (model 65R9). 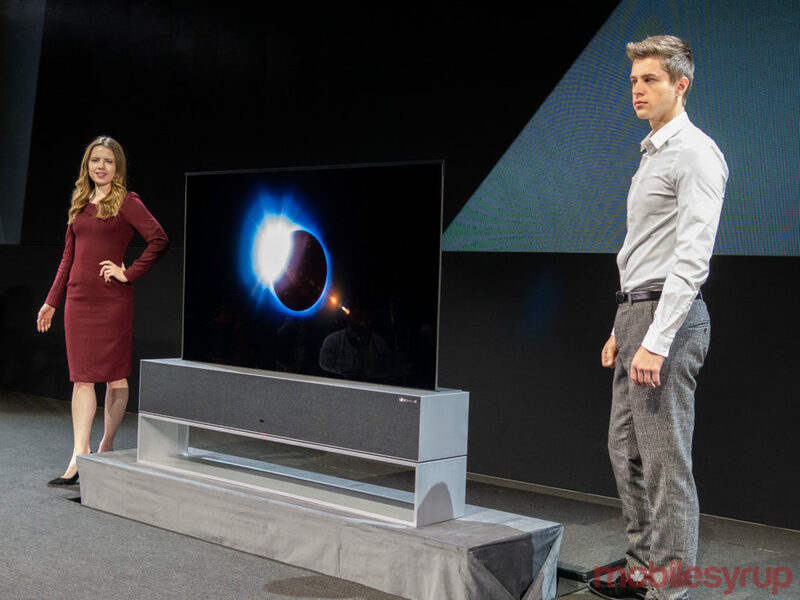 Additionally, the Signature's "Zero View" configuration retracts the entire television's display, transforming the Signature OLED TV R into what amounts to a fairly powerful speaker system thanks to a 4.2-channel, 100W, front-firing, Dolby Atmos soundbar built into the device's aluminum and wood body. The rollable OLED TV is a game-changer for a variety of reasons. Full View provides a large-screen binge-watching experience that's complete with high-quality AI picture and sound settings. The magical roll-up TV will allow owners to keep the screen in three positions: fully tucked away, unfurled in all its majesty and a "partially unrolled" state where a little bit of screen is peeping from the box. Other cool features of the LG Signature OLED TV R include Alexa compatibility and easy syncing with AirPlay 2. Furthermore, the LG TVs will come with Apple HomeKit support, so users will be able to control their LG TV using the Home app or by asking Siri voice assistant.